As a note, the only way to get to Iquitos is by boat or plane, so cars are a very rare site there. The streets are filled with mopeds, Motos and colorful, windowless buses. It was so intriguing to watch families of three sandwiched on a moped buzzing down the streets, Mothers clutching on to their babies or toddlers. Or Mother's in the back of a Moto with their children dressed in school uniforms - I couldn't help but wonder how many were Father's driving their families before a day of work driving strangers. The streets were divided into sides, but within each lane it was a bit of a free for all, drive wherever you can fit! We got off the bus and made our way down the streets to a small marketplace building. The inside was filled with booths of produce and women fanning themselves trying to keep cool. Once we passed through the back door, we navigated down a narrow corridor lined with tables and vendors while children wove energetically through our legs. We arrived at the top of a staircase and as I looked out I realized where we were; we were getting ready to walk down the steep staircase over the floating planks I had seen in Pastor Adam's Facebook video during preparation for our visit to Peru. We boarded the "Rapido" (speed boat) where we made an hour journey into the jungle. I held on to my hat as we rushed over the Amazon river, the cool breeze was a welcomed change from the humidity I knew we'd face once we stopped. Pastor Adam treated the team to a cracker-like snack that was made from yucca flour and many of us looked out upon the water in hopes of catching a glimpse of one of those pink dolphins! Picturing anacondas and who knows what else I might encounter in the jungle, I started singing worship songs to try and ease my mind and bring peace; Renée joined in with me. The motor of our boat shut off about two-thirds in to our ride, my nervousness mounted as I hadn't realized at the time it was to switch fuel. Once we arrived, our team divided among 4 or 5 Motos where we took a short drive into town and were dropped off in front of a church. A young woman came by with a plastic container and sold our team sandwiches for breakfast. 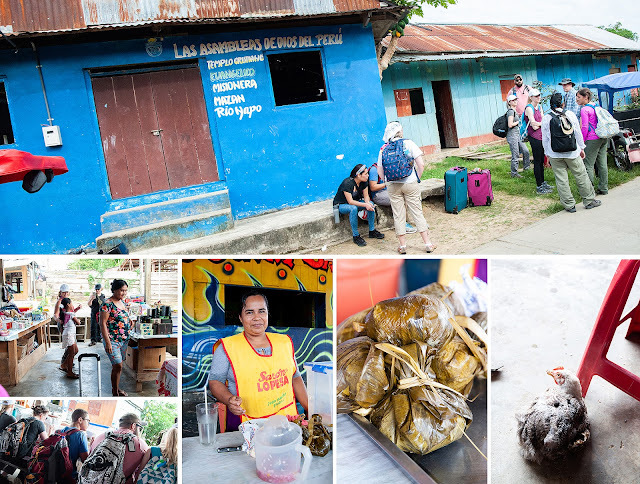 Then as we followed the road just around the corner, our team sat at a small marketplace for a "traditional Peruvian breakfast" of egg-rice and chicken with an olive that was cooked in a banana leaf. We learned that the dish took two-hours time to prepare. (And was accompanied by a delicious onion salad that was made with a special jungle pepper.) Among our breakfast companions were some wandering chickens - they are poor conversationalists! After breakfast we headed into a cramped marketplace building for a last call potty stop. (This is where having toilet paper is like having GOLD!) 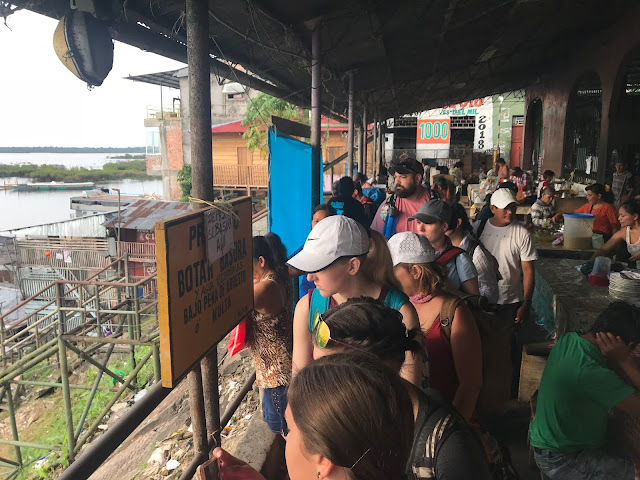 Most toilets in Iquitos did not have seats (does that make it a squatty potty?) and you didn't throw your TP in them ... "Flushing" often required a bucket of water. And while it may be TMI, just to describe the level of humidity, I felt like each time I had to use the restroom it took me two times longer just to get my pants up and down! Despite the fact that most of the kids were in school, we had a great turn out. Taylor shared the light of God message again but this time you could see how much her confidence had grown. The kids made the torch craft from tissue paper and Popsicle sticks and played the squirt gun game. Afterwards we brought out the face-paints, fingernail polish and beach balls and just loved on the children and Mamas while the men resumed their game. We passed over a covered bridge and stopped alongside the road in front of a planked pathway. Our team started down the walkway until we were told we could walk on the ground. We came to what looked like a shelter, dirt floors, metal roof with a single light bulb and a row of benches. We learned that this was a church and one of the opportunities we had to sew in to. The wooden walkway we arrived to was built because the area had recently been under 3' of water. (You could see the water levels on the supports still.) These beautiful people walked through floods to worship in a place that was under water! The Pastor then took us on a tour of his home - I stayed back to take a few pictures of the church. When I arrived inside every one had gone through the two rooms (presumably not the bedroom). I stepped in to the back to take a peak at the kitchen. 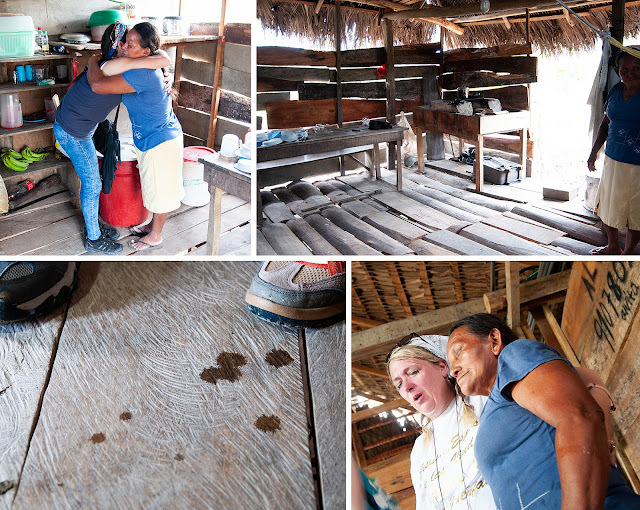 Claudia, our translator and new friend, was there with me when the Pastor's wife offered me food from her barrel. I wasn't quite sure how to respond; I didn't want to be rude and say no, at the same time they had so little I didn't want to take away from them. Through Claudia, the Pastor's wife explained to me that the flood had brought in anaconda's and killed all their chickens. Left were only ducks. I remembered a time when I felt weary and worn from life, like I had no fight left in me, and sweet friends came alongside me to pray. I envisioned myself at the time as a vulnerable warrior sitting on her knees, shield down, and my friends standing around me as guards, holding up their shields as my covering. That picture moved me to pray with the Pastor's wife. To encourage her. When we joined the others in the main room, Renée continued to pray with her. The tears they wept landed softly on the wooden floor and I couldn't help but take a picture. Renée later shared with me she was praying for a floor for the church which gave this image a whole new meaning for me. It was then that Christina divided our team in two. She, Jacob, Taylor and Pastor Adam would stay behind to purchase the lumber the church needed for flooring, while the rest of us would head deeper in the jungle to another church for children's ministry. At the time I was a bit saddened, as I so desperately wanted to help sew into that church. But during my devotion time a few days later, the Lord helped me to see that I did because I had the privilege of praying with the Pastor's wife. 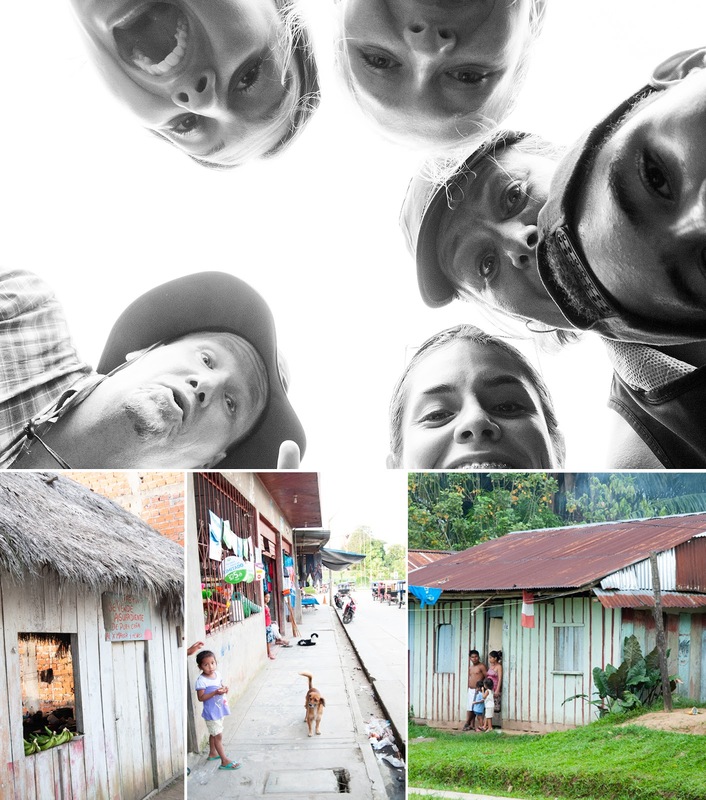 The rest of our team climbed into Moto's, luggage in tow, where we road along small concrete roads through the jungle, surrounded by the beauty of nature, the roads almost seemed unnatural in this landscape. There were a few winding turns where I almost thought our karts might tip, or I envisioned a snake popping out of a tree like in the Jungle Book. Fortunately neither happened! The disappointment I felt at the time from being sent ahead melted away as I took in the drive. I still could not believe I was there. It felt like such a dream ... even now, I wish I could close my eyes and go back. We arrived to a church, where our team was divided into groups: Lindsey, Brooke and Julia prepared to share the message. Claudia, Rebecca and Shawana prepared for the game and craft, and Little Andrew, Andrew, Renée and I canvased the neighborhood to invite children. It was my first time doing that, and with the language barrier I was so nervous. We started out down one side from the church and Little Andrew called to the kids. (There are SO MANY CHILDREN!!!!!!) I was in awe at 1. how gifted Andrew was at this and 2. how different this was from our own culture. Parents didn't even bat an eye that strange people were inviting children down the road, kids didn't always ask for permission ... they just ran ahead to the church. When we made our way back towards the church I couldn't believe how filled it was from just one half of the straight stretch of road. We decided to continue on down the other side. 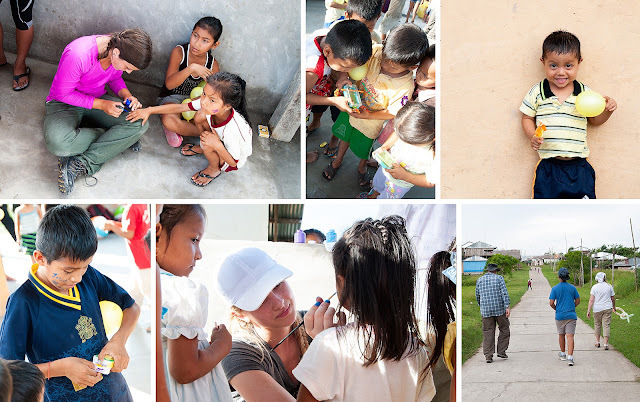 By the time we returned, the church was PACKED with children and Mamas. We had missed the lesson while we were out, but we made it back in time to help with the craft and game. 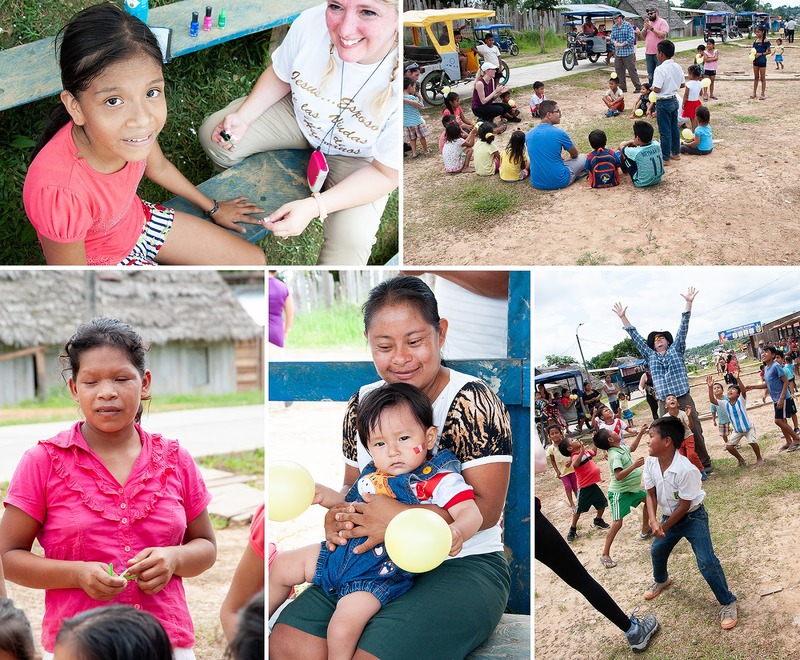 We were unsure if we were waiting for the rest of the team there, meeting them back at the other church or at our lodge, so after the game we passed out toys and played and danced with the children until the church "kicked us out" to get ready for service. Renée, Julia and Rebecca rode ahead in a Moto while the rest of us jumped in the back of a "truck" (truck bed still driven by a moped!) and headed to our lodge in Indiana after a brief pit-stop in town for a pair of shorts. 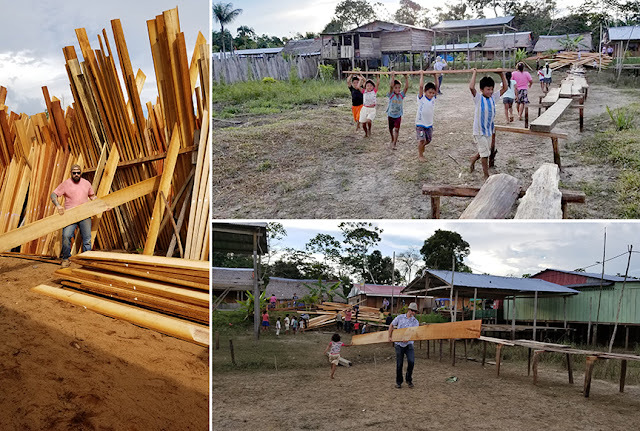 We arrived at our lodge and thought we had been given permission to walk the property which overlooked the Amazon river (sometimes things are lost in translation.) Some of the team had headed down on a platform towards the river bank. Shawana, Taylor and I stayed back a few moments then headed down to join the others. 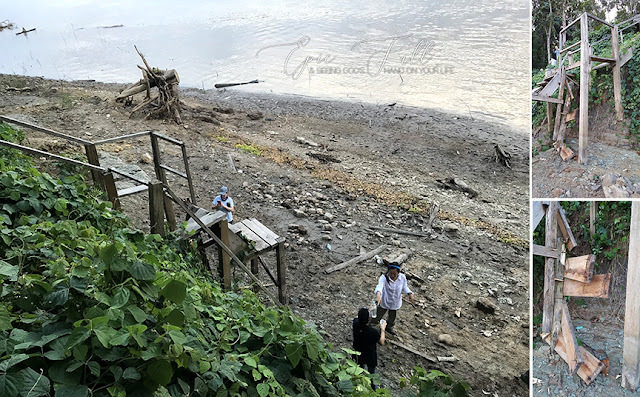 While pausing on the second platform to assess the situation (there was still a steep jump from the lowest one) we heard a loud crack and within a split second the aged wood crumbled beneath us before we could react. The next thing I knew was a lot of commotion. Jacob, Taylor's husband, had rushed in to get the others. Andrew, with his bad knee, and Pastor Adam apparently dashed off like gazelle's and stood on the hill above us. Instinct had one of them ready to jump down to us, and everyone from below warned them to stay (more of the structure could have crumbled). We were OK.
Shawana and Taylor fell parallel to each other with Shawana hurting her tailbone (nerves) and hitting her head and Taylor hurting her wrist (which seemed to be OK at the time, but worsened as she continued to pull weight throughout the trip, rendering it a fracture). I fell on my left side in front of Sawana. I felt like I had bad rug burn on my knee and knew I was bruised, but I felt fine other wise (I later discovered a small, superficial cut just above my ankle.) I tried to snap a few pictures quick because you don't survive something like that without getting documentation, right?! After having so many wins that day, we knew the enemy was coming against us and trying to slow us down. Though we were given the option of staying back from service that night, we all refused. God had His hand on us and no devil in hell was going to slow us down. We arrived at church that evening to a heavy-hearted Little Andrew who felt like the events of the day were his fault. My heart hurt for him because I have been there; we wanted him to know it was not his fault, so the team gathered around and prayed over him and tried to love on him. We headed back to our hotel where we gathered in to a room, shut off the lights, and had a glow stick party to celebrate the 4th of July, America and her independence, all the way from Peru! It was so much fun and I am thankful to Christina for thinking of that! We made a fun video and every one belted out "Proud To Be An American" complete with one line sang wrong, but even still we sang it in unity! Every one headed off to their rooms for the night after a long, eventful day. I really wanted to take some time to journal but I also was super anxious to see videos from the day of the church flooring as I'd heard the children had come to help carry the flooring, so I snuck off to Christina's room for a preview of the goodness until our eyes got too heavy! How incredible it was to think that the very foundation they carried is the foundation that will be their strength for generations to come; a foundation foraged from sweat, tears and prayer from generations before. I headed back down the hall, tucked in my room and climbed into bed. Thank you Lindsey for allowing us to use your Deet spray on the windows to keep critters at bay for a restful sleep! 📷 Additional photo credits to Christina Brokaw & Andrew Totten.